Asus Zenfone’s PixelMaster Master Class which is an 8 month long campaign that aims to develop the photography skills of Zenfone mobile photographers from talented names in the the industry is almost coming to an end which by the way is a huge success! 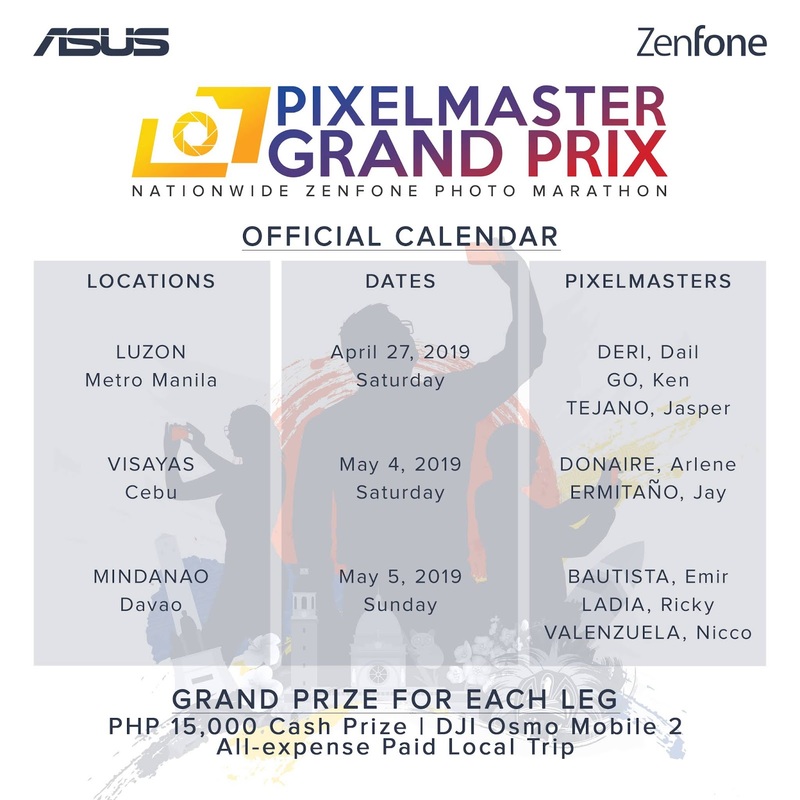 In celebration for this campaign’s success, Asus Philippines, in collaboration with Zenfone PixelMasters is inviting all of the PixelMaster Master Class students,Zenfans and Zenfone mobile photographers to join the first ever PixelMaster Grand Prix. PixelMaster Grand Prix is a nationwide photo marathon event that’s lead by Zenfone PixelMasters like Ricky Ladia for Travel Photography, Jasper Tejano for Street Photography, Arlene Donaire for Visual Story Telling, Ken Go for Portraiture, Dail Deri for Conceptual Photography, Nicco Valenzuela for Landscape Photography,Emir Khan Bautista for Wedding Photography and Jay Ermitaño for Documentary Photography, all whom the Grand Prix participants will have a chance to meet, greet and learn. The event will happen in Luzon,Visayas and Mindanao beginning April 2019 and is open to ALL Zenfone users and some lucky non users as well. This makes the PixelMaster Grand Prix the biggest mobile photography event in the Philippines. Participants will take home rewards over P50,000.00 worth of prizes is up for grabs in each leg. Are you getting excited? Well, I am! 1. Interested participants should first sign-up as an official member on the ASUS ZenTalk Forum. Participants are only eligible to win the main prizes if they are ZenFone users. However, limited slots will be opened to non-ZenFone users who will get to successfully register. These non-ZenFone users will be lent a ZenFone, but they will only be eligible to win the minor prizes. 2. ASUS Philippines will be filtering the participants who have successfully signed-up due to the limited slots available for each leg. Shortlisted participants will be messaged via SMS and Email as early as April 5, 2019. Shortlisted participants are then given until April 12, 2019 to re-confirm their availability on the leg day. No confirmation means forfeiture of slot/s. 3. ASUS Philippines will be releasing the official list of participants for each leg by April 22, 2019 via the ASUS Philippines Facebook and Instagram accounts. Official participants will also be receiving an SMS from an ASUS representative. follow. Each leg will have their own theme. 5. Participants must submit their chosen photos within the day of the official leg. The entry was posted on Facebook, in public, between 12:00NN-5:00PM of the official leg day. The entry was passed to the uploading station, between 4:00PM-5:45PM of the official leg day. Upon uploading, the participant must present the raw file and the link to the social media post to the event official before passing the official entry. 6. One (1) grand winner per leg will be chosen according to the following categories. 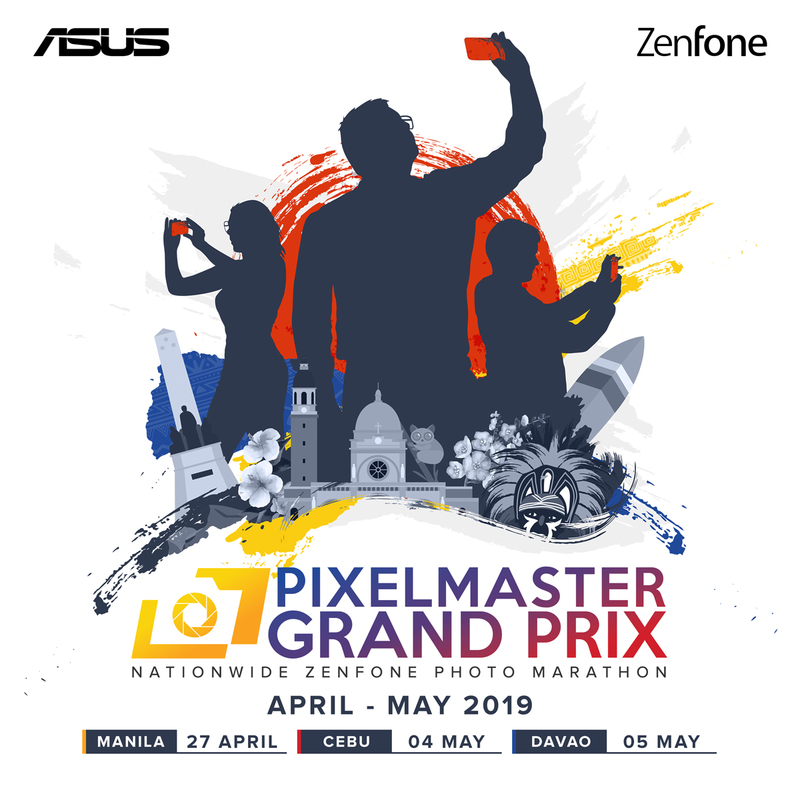 To join as well as to see the official mechanics of the PixelMaster Grand Prix, just visit the official ASUS PixelMaster website at www.asuspixelmasterclass.com from March 6 2019 to April 20, 2019. ASUS Philippines’ official Facebook, Instagram and Twitter pages and the ZenTalk forum.